So on the New York Times web site they’re talking about the biopic “The Blind Side” about a disadvantaged youngster adopted as a teenager by a wealthy family. The debate seems to be about the racial stereotypes…but there really is no debate. It happened the way it happened. It’s an incredible story. Read the book or article and you’ll agree. The article referenced above sparked a debate in the comments section. They want to know what the best sports movies of all time are. 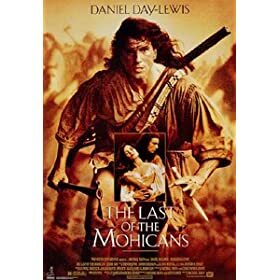 Does “Last of the Mohicans” with Daniel Day-Lewis count? If not, then it’s “Victory” with Sylvester Stallone, Michael Caine and a bunch of other eye candy, about a soccer team of WWII POWs who take on the Nazi pros. A close second… Maybe “Hoosiers”? Field of Dreams and Bull Durham are high on my list. How can they not be? Both are as close to perfection as a baseball movie can get. Ditton “The Natural” with Robert Redford. No! “The Cutting Edge” about pairs figure skating. Be still my heart. There. Aren’t you glad you asked? How about you? What are your favorite sports movies?